The base of the Kadjuk Bird Pole. Raven's breast forms the headdress of his wife, Fog Woman. In her hands she holds two salmon, which she produced, the first in the world. 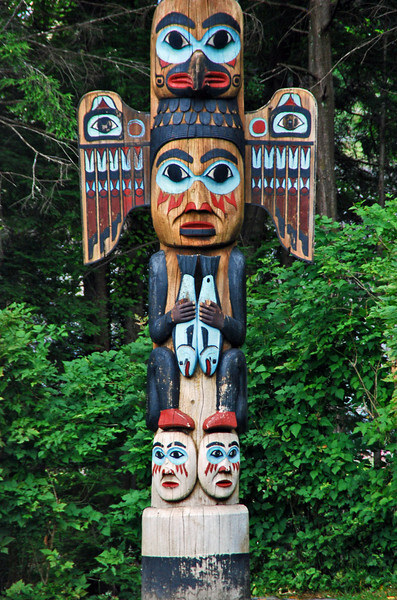 The two large faces at the base represent the two slaves of Raven.